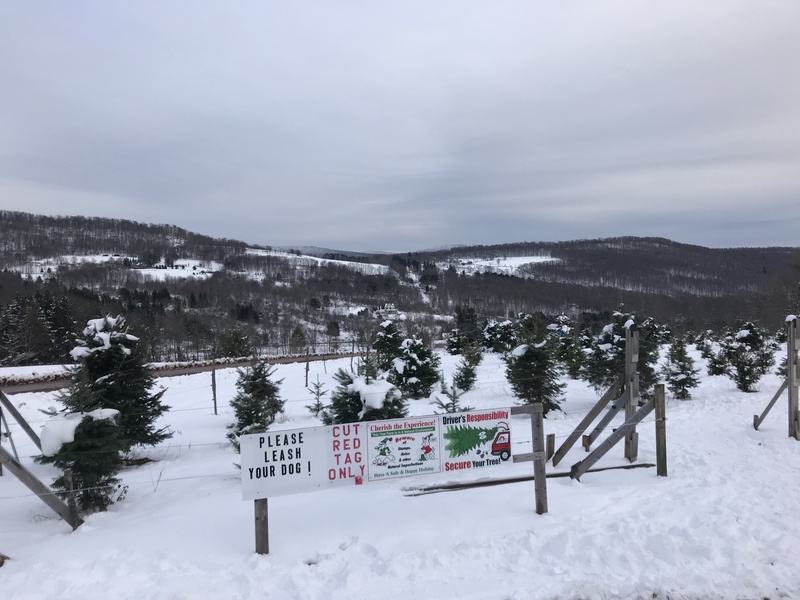 If you’re having a Catskills Christmas this year, there are a few places in the Catskills where you can source a freshly-grown fir for your house and one of those places is family-owned Robson’s Tree Farm in Bovina Center, NY. 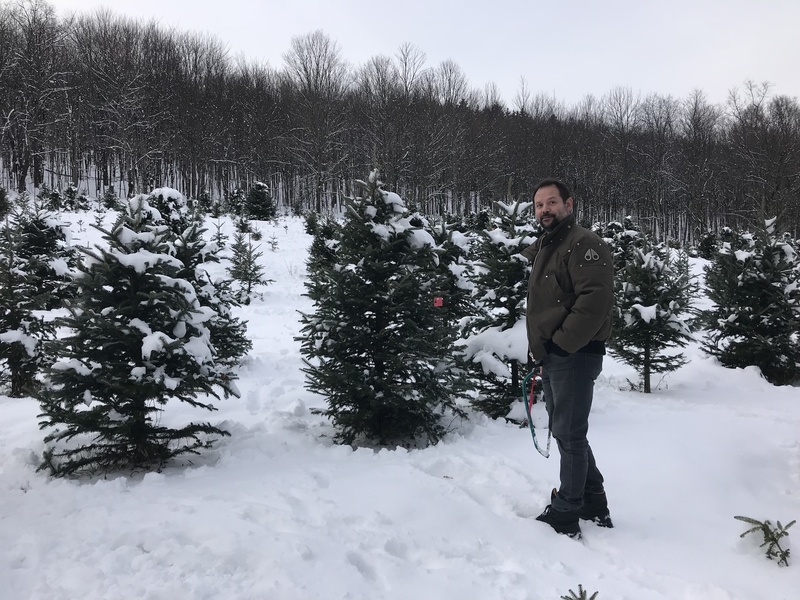 They maintain a couple of acres of thick, gorgeous trees – that won’t quickly lose their needles – that have been specially grown for Christmas: a sustainable option for the eco-conscious. Very friendly, helpful and engaging staff give you a saw and send you into lines of trees to pick your own fir in the thick snow. Only pick the trees with the red price tag on. All the other trees without tags have not finished growing. The tree below was $35 but prices range from $25 to $75 for trees of different sizes. Most trees are 6′ to 8′ and are $30 to $55. Freshly-made wreathes were also available for $23. There is a fire to warm you up after you’ve finished sawing and hauling. You must be prepared to secure your own tree to your car, so unless your tree fits inside your car, bring any ropes or ties you need to truss your tree to the hood of your vehicle. There is a small baler/wrapper and a large baler/wrapper. However, many of the large, full trees are too big to go through the large baler so wrapping in netting is not an option for those trees. Dogs must be on a leash. For a day’s outing, visit nearby stores and restaurants: Wayside Cider, Brushland Eating House and Catskills Regional Harvest (which has all possible gifts for the foodies in your life) are all relatively close by. Shop locally and support local business. 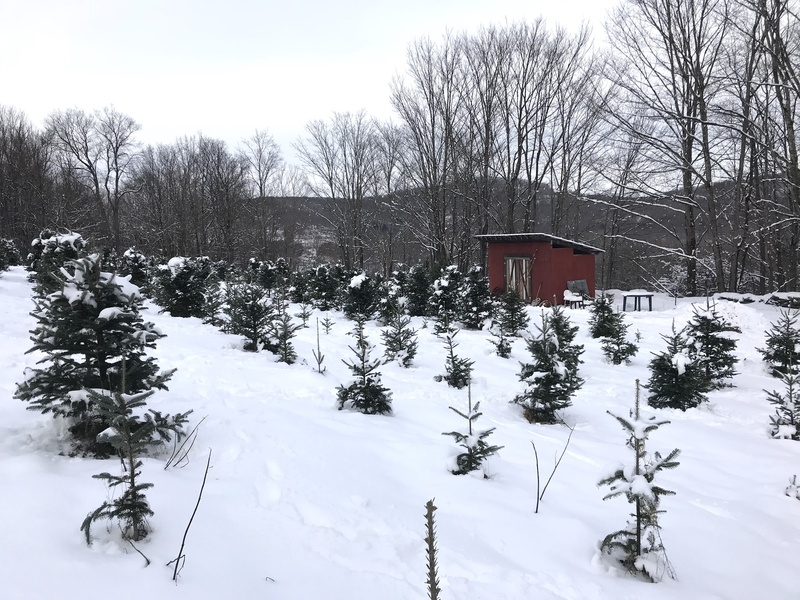 This entry was posted in Shopping Locally and tagged Catskills, Catskills Christmas, Catskills Christmas Trees, Upstate Dispatch on December 2, 2018 by JNUrbanski.